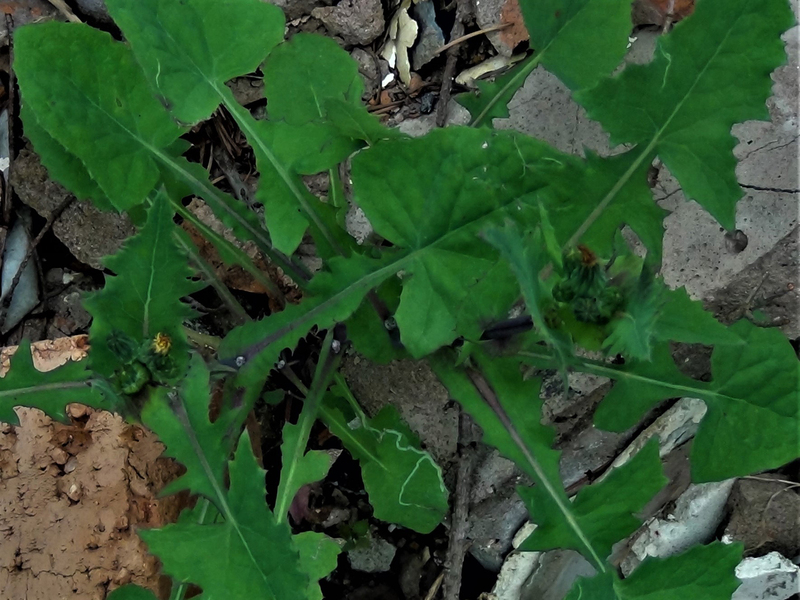 The flowers of sow thistle are like small dandelion flowers. 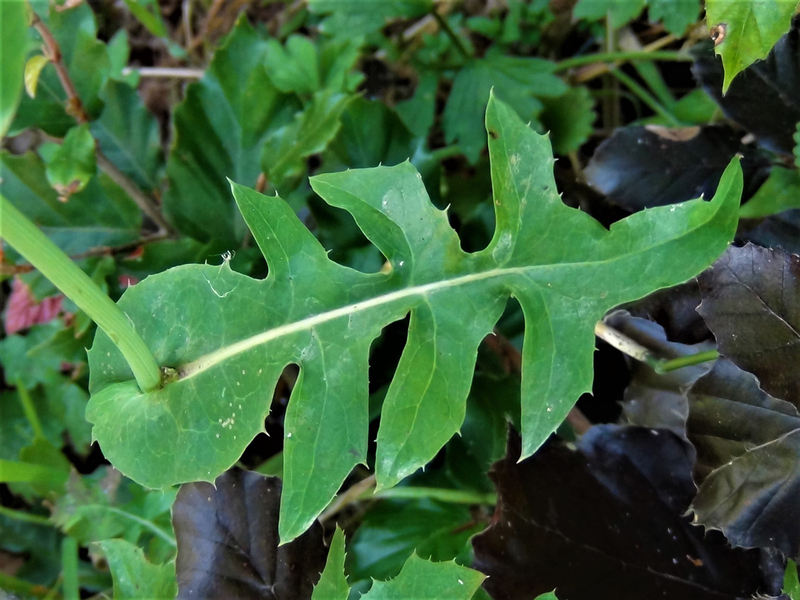 Very common, tastes just like lettuce and can be found throughout the year unless there is a really harsh Winter. 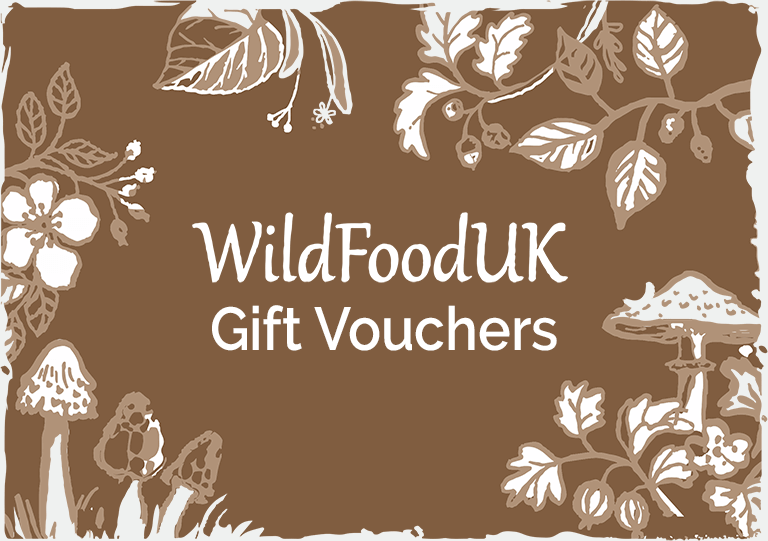 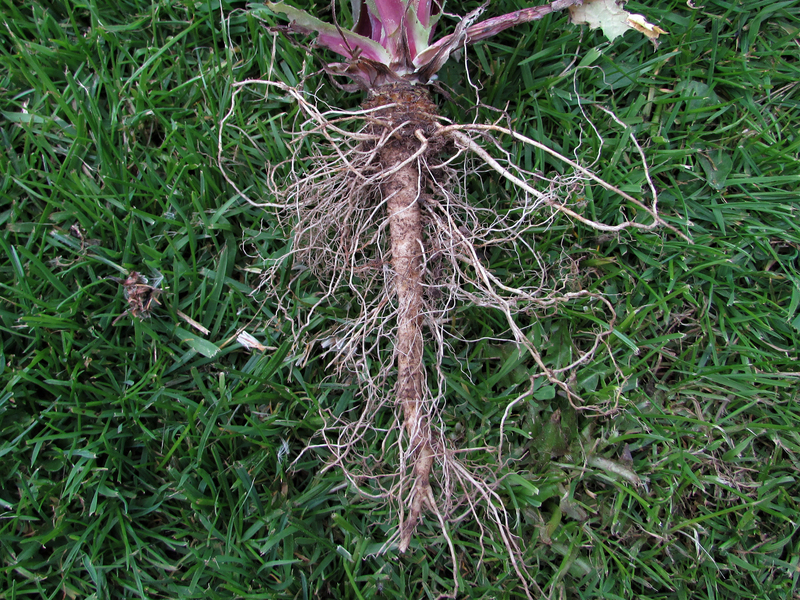 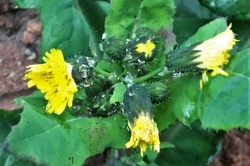 There are eight species of sow thistle growing in the UK. 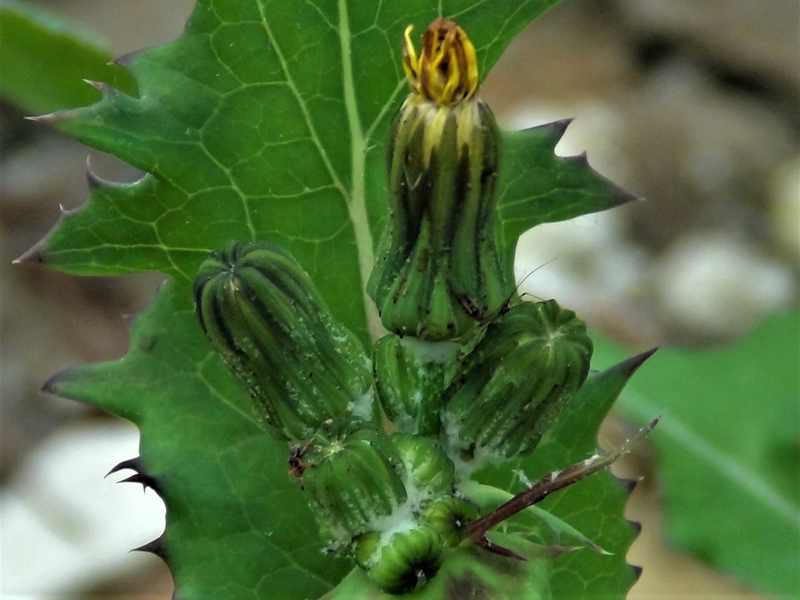 Initially growing in a basal rosette and toothed until the flower stem appears, the leaves become less toothed the higher up the stem they are. Delicate and rather Dandelion like with a white sap when cut. 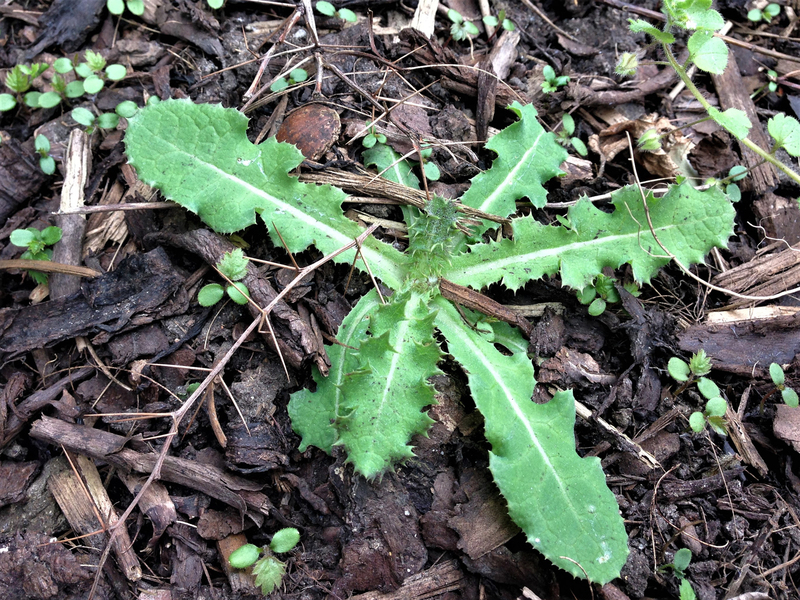 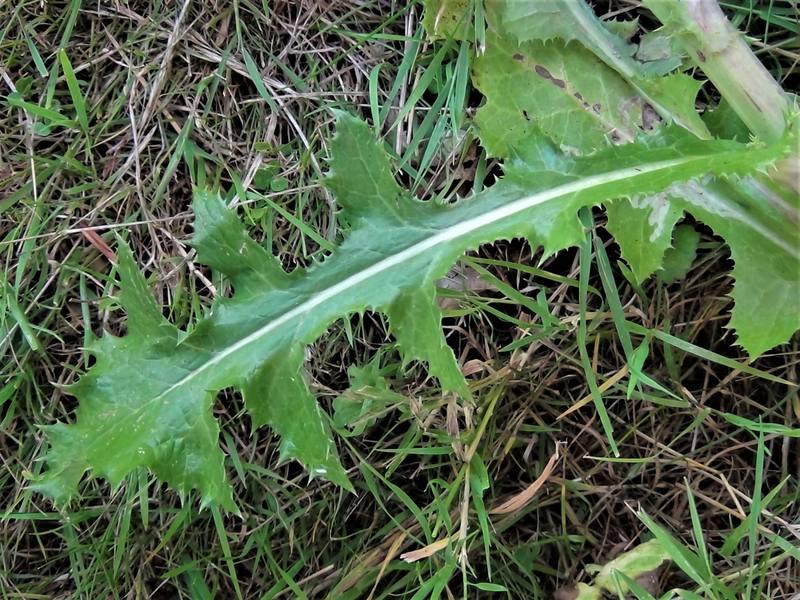 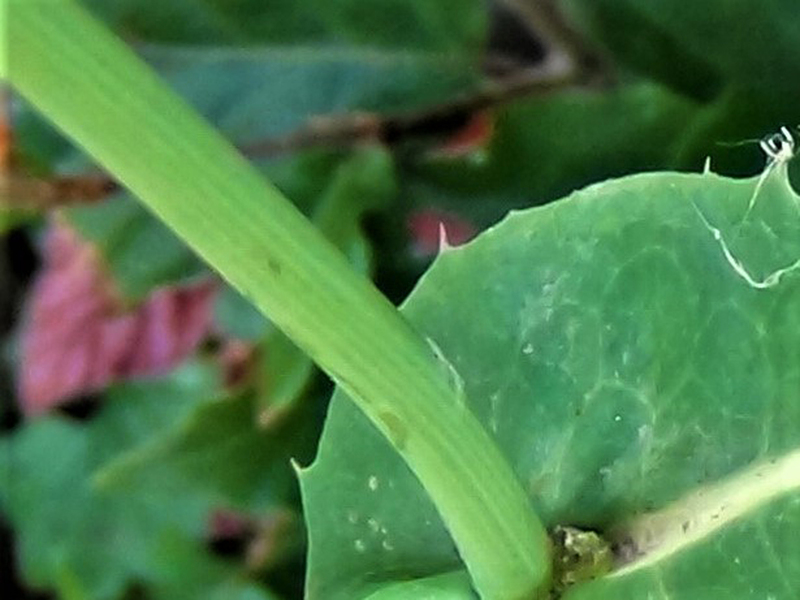 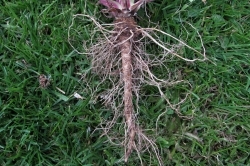 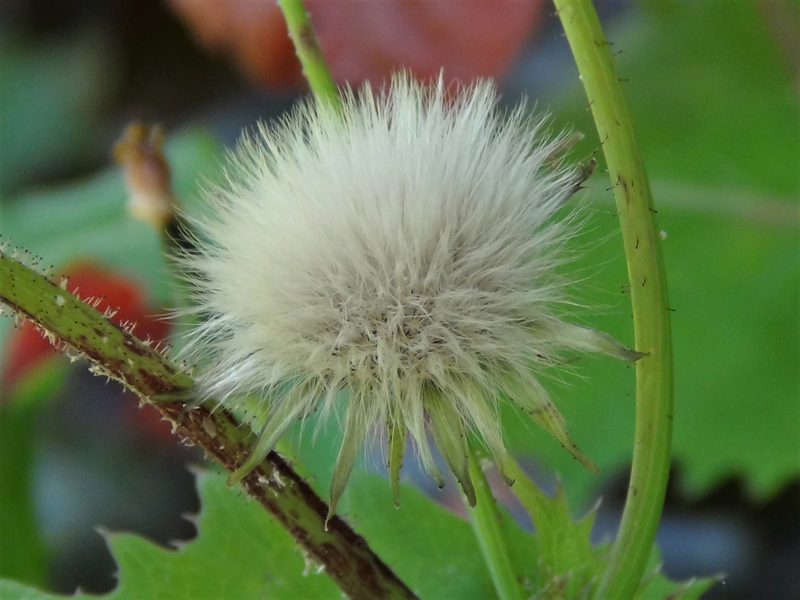 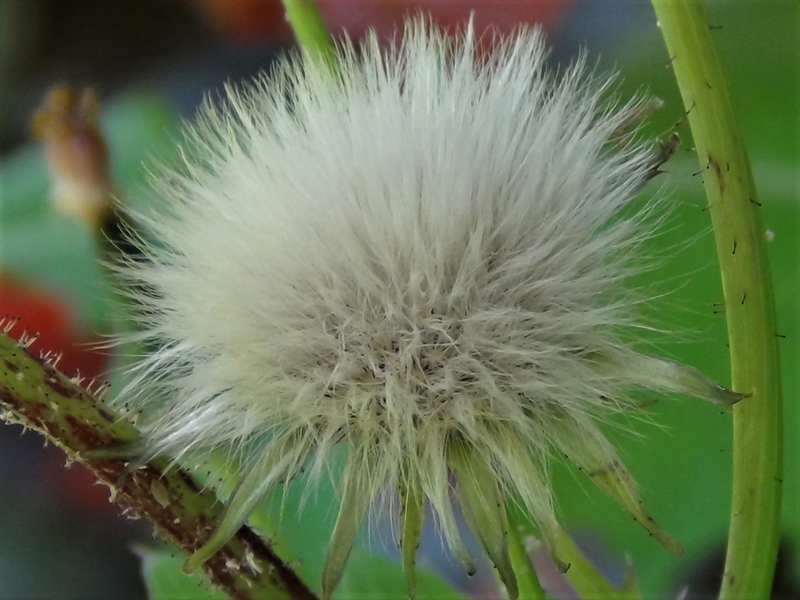 The leaves of prickly sow thistle have spines on them and are best trimmed before consumption. 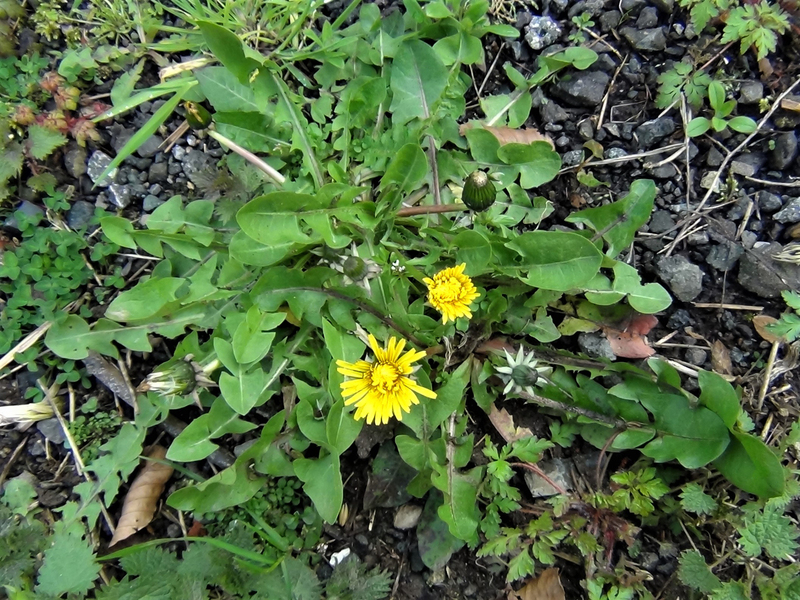 Yellow and like small Dandelion flowers but many can grow from one stem, unlike Dandelions. 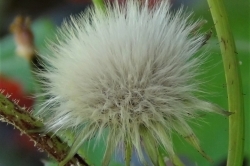 Growing like a Dandelion clock. 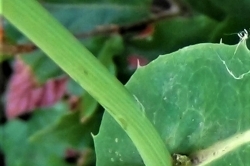 Smooth, hollow and succulent and exuding a white latex like milk when cut..
Rather thin and woody but they can be roasted and eaten. 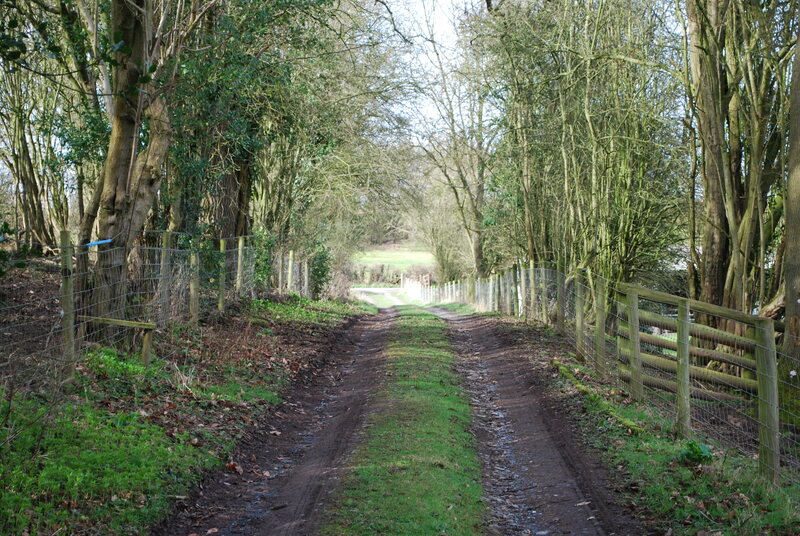 Anywhere there is a bit of bare soil. 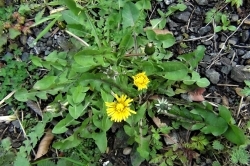 Dandelions, pictured, and similar edible species within the Sunflower family. 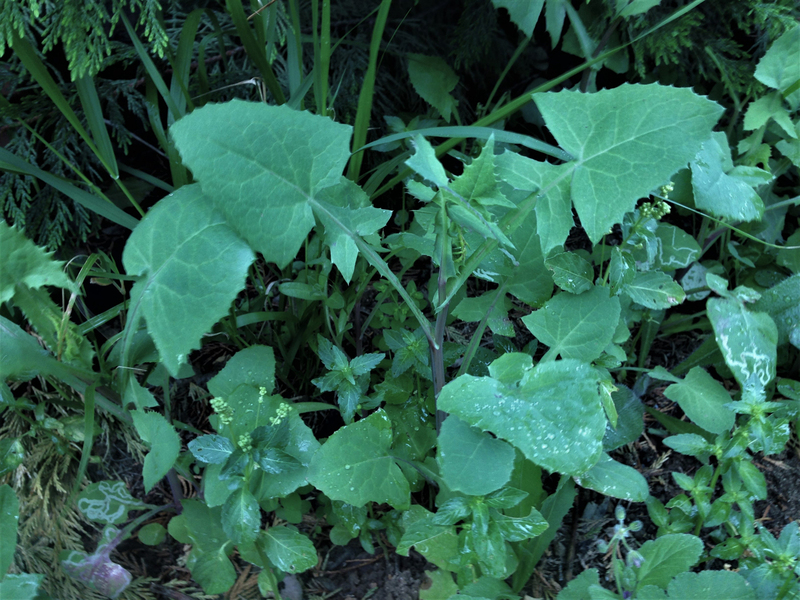 The leaves have a lettuce like taste only not as bitter. 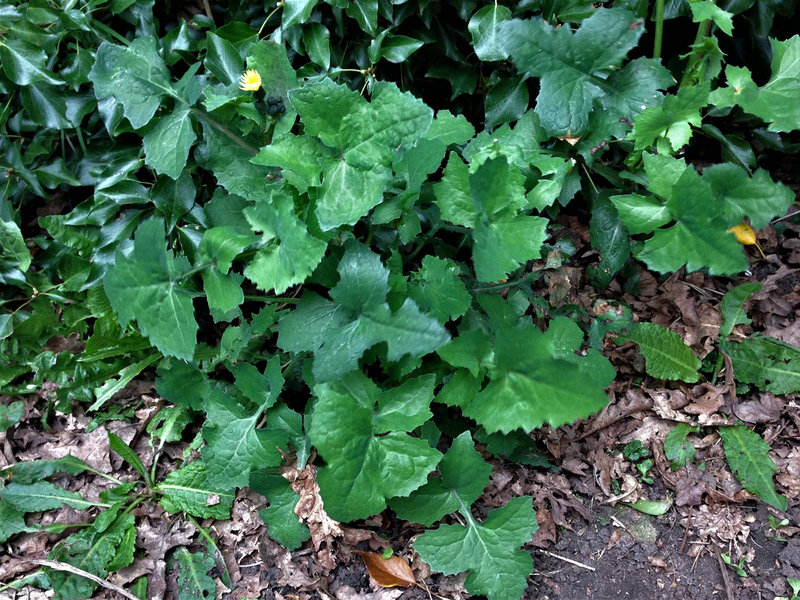 This plant will grow around trees and fence posts and along edges so are likely to have been visited by dogs, therefore caution should be taken as to where this plant is collected from. 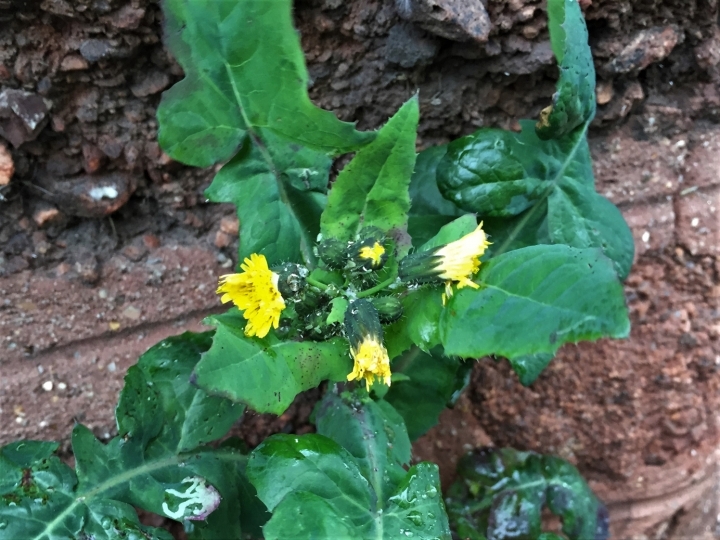 Folklore tells of this plant having many medicinal uses and it was treated just like Dandelion. 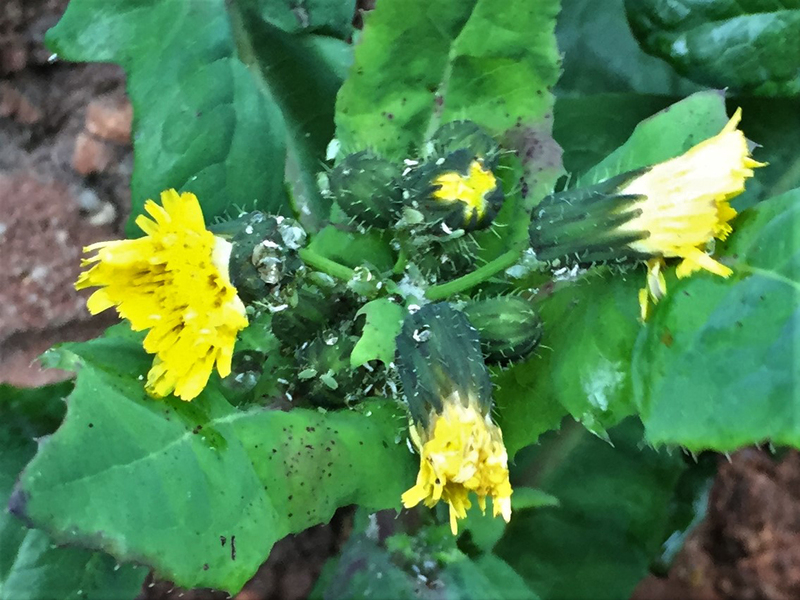 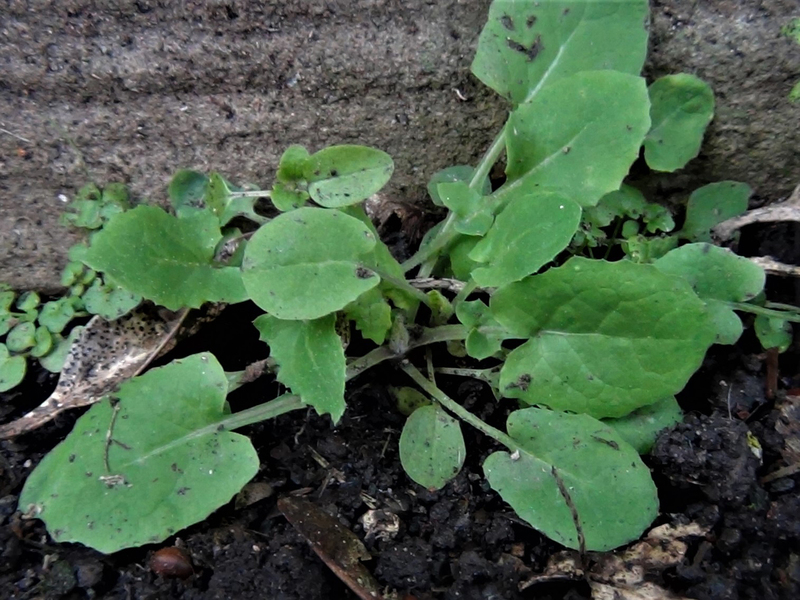 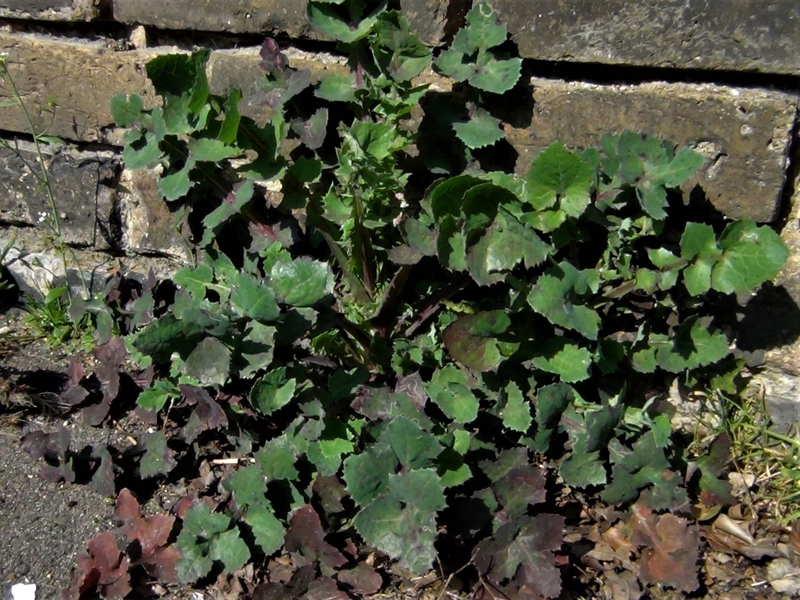 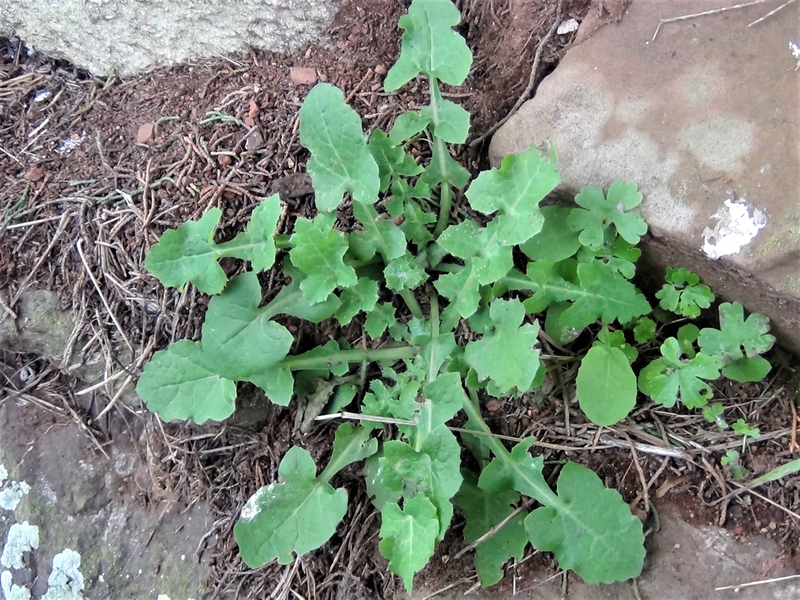 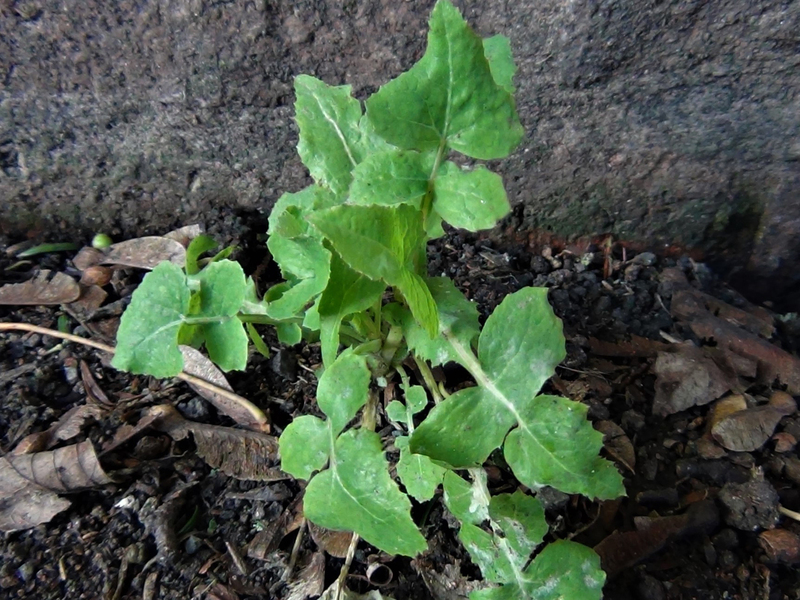 There are a few different types of Sow Thistle species growing in the UK but Sonchus oleraceus is the most common. It got the name Sow Thistle from the fact that when cut the plant exudes a latex like milk which was believed to help lactation in mothering sows. 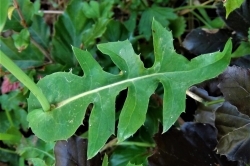 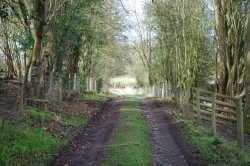 It has been used as fodder for many animals, particularly rabbits and pigs.